The results are in, and FSC is looking good. The results are from the 2017-2018 graduating seniors survey, which summarizes the opinions of graduating seniors regarding their experiences while attending FSC, and looks ahead at their post-graduation plans. 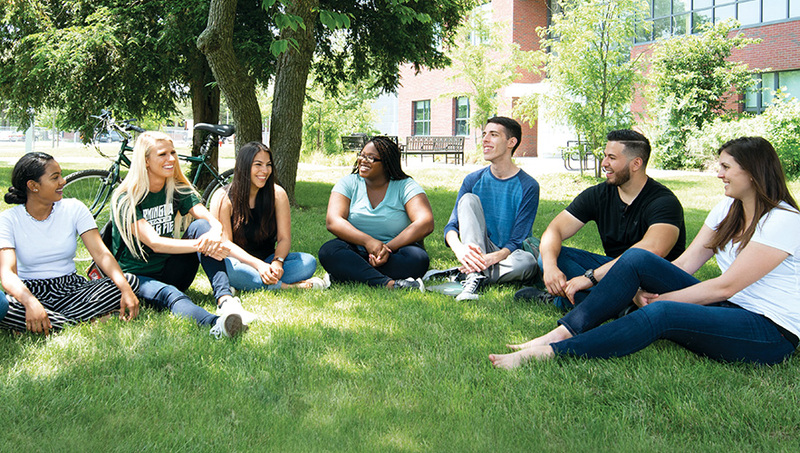 The vast majority of graduating seniors were either very satisfied or satisfied with their experience at Farmingdale overall (93%) and academically (91%). 65% of seniors graduating with a baccalaureate degree planned to look for employment after graduation, while 56% of seniors graduating with an associate degree planned to look for employment. 44% of seniors graduating with a baccalaureate degree planned to continue their education. 78% of seniors graduating with an associate degree planned to continue their education. When students were asked what they liked best about Farmingdale, faculty topped the list. Academics, campus facilities/grounds/size, location/commute/convenience, and atmosphere/environment rounded out the top five.